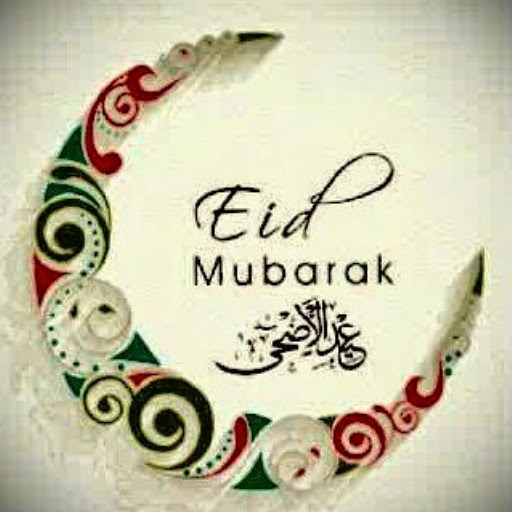 Happy Eid Mubarak to all my Muslim friends, readers and family. I wish you all the blessings of this season. But what you guys are doing is not fair o. You guys are killing a whole ram or cow and nobody is sending me anything. Which reminds me one corp pharmacist has run away so that he would not give me meat ehen, let him come back i would so deal with him.....lol. Wait a minute, do people still give meat to other people. When I was little at this time my mom rarely bought meat because she was sure that we would be given meat by our neighbours and her father. I appreciate my background it is as diverse as they come and I am so proud that God placed me in my family and I lived in Lagos. I have Muslim family, I have step relations (though I rarely see or know them), I have northeners in my family (by marriage), I have southerners (by marriage), I have family members that are pastors, I lived in a place where it didn't and it still doesn't matter where you come from. I never knew that people were tribalistic and religionistic (is that a word?) until I came to Akwa ibom for service because in Lagos every tribe and every religion is represented and accommodated. I was in a class where we had Muslims, Christians, Igbos, southerners so I have never ever felt like we were not one. I remember when something happened in university and some people were trying to separate themselves, someone had to warn all of us that we were in this together. Pharmacy school was hard enough we needed to be together to be able to finish school well. And for the first time in the history of Pharmacy school in OOU 97% of the class were inducted together we were sad 2 of us didn't graduate with us but we made history at that time (please correct me if i am wrong..#trailblazers). Maybe that is why people say I look like a northerner and sound like an easterner. It is now funny that when I was in university my classmates used to tease me about that and I used to be sad but now I am more than happy about it. I am not pegged into any geopolitical region and I absolutely love it. It helps people take me as I am and not because I come from a certain place. I just pray for a nation and world where we would tolerate each other and learn to love each other as ourselves. The selfishness and hate must end! Let us come together and fight those who want to make this world unbearable for us. Happy Celebration guys. Is there another name for Eid Mubarak? I keep seeing another name...Faha or something like that. Thanks for stopping by.... I am still waiting for my meat. P.S: Congratulations to Abimbola who won the last giveaway. Hope you enjoy using your airtime. Thanks to the others who participated but didn't win. I hope you win next time. This is a heads up notice next giveaway would be specifically for Uyo residents...Whoop! Whoop!! So get ready and keep checking this page because you don't know when the giveaway would happen. Thank you. Hope you are enjoying the holidays? Tanx petite. Dis is a muslim classmate of urs, can u guess?